We've been tracking mobile GPU progress compared to entry level (and older desktop) PC GPUs now that we have cross-platform 3D benchmarks that run under both Android and Windows 8/RT. 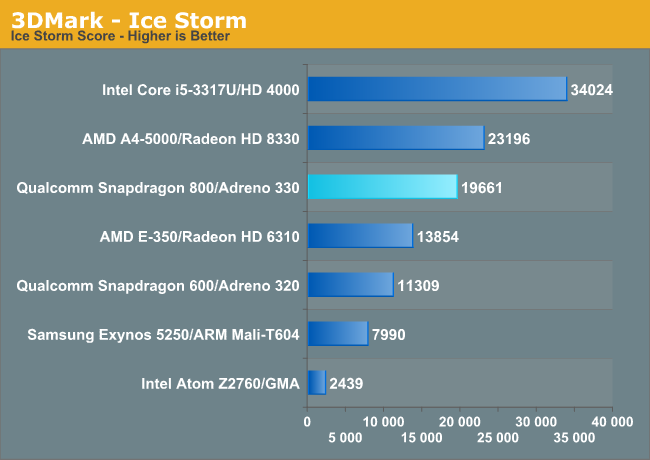 The data below has been updated to include Snapdragon 800/Adreno 330. Adreno 330 definitely moves up the list, getting dangerously close to Kabini at times. 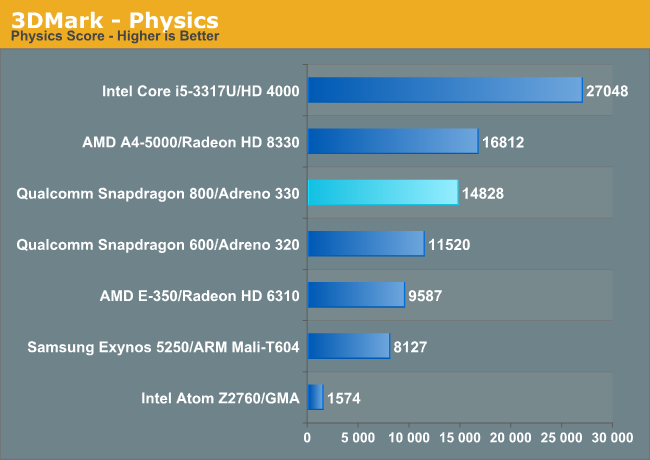 It's still not at Ivy Bridge levels of GPU performance yet, but keep in mind we're talking about a platform with a much lower TDP. 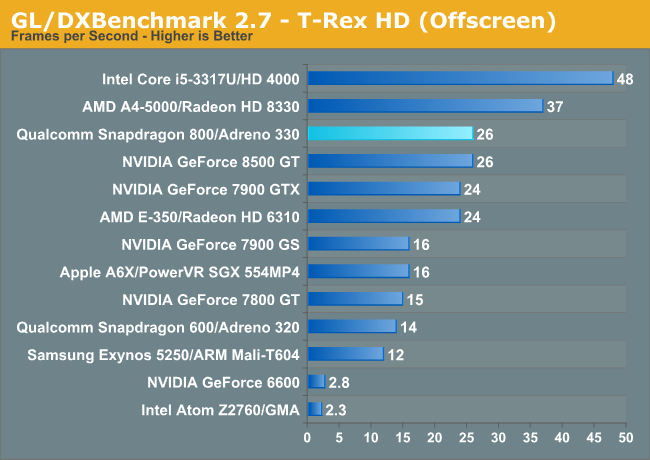 "The overall graphics score from Adreno is amazing. 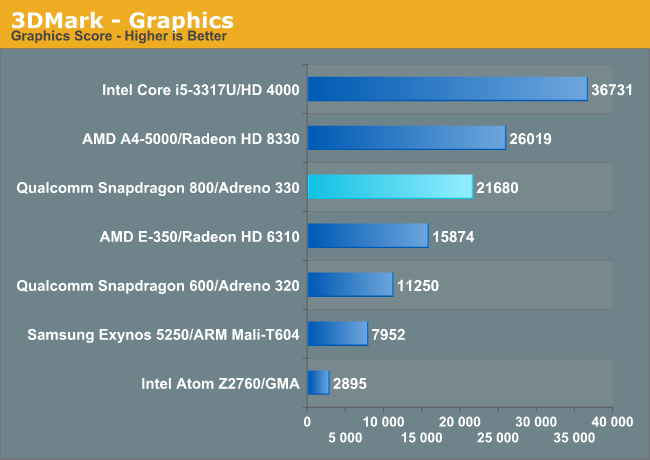 We're looking at almost 2x the next fastest contender here, the Adreno 320 based Snapdragon 600."